Applying is easy, and the criteria is simple. Minimum six months in business and $10,000 per month in gross revenue. Existing small businesses only, no startups or purchases will be considered. Apply for funding at LVRGFunding.com. National Small Business Week is a huge opportunity for a small business owner to work on their business and not just operate in their business. Even with a unique brand name, marketing gimmick, social media following, or the best product/service, no business can survive without a healthy flow of cash. Having a solid cash flow is not just about managing a healthy business; it’s a matter of life or death for that business. Cars can’t run without gas, and businesses can’t run without cash flow. It’s really that simple! One clear reason small businesses fail is due to lack of funding. Smart business owners diversify their capital sources and project losses well in advance, which allows them to seek out funding options and be prepared for difficult financial situations before they strike. Getting to a position of excess cash flow helps a company operate in a strategic, proactive way, rather than a reactive, defensive way. Small businesses are the cornerstone of our culture. They provide quality goods and services in our neighborhoods. If you own a small business, and have an idea to grow but lack the capital to get it done, LVRG can help. About LVRG: Headquartered in the Ford Building, LVRG is a local finance company dedicated to helping local small businesses thrive and grow. With a dedication to our clientele and a reputation for excellence, you'll understand why LVRG is such a respected member of Metro Detroit’s small business community. Give us a call today (855) 998-5874, we're here to help! Official Press Release Distributed on March 28th, 2018. Detroit – When it’s rooted in Detroit you know it’s good. LVRG is headquartered in Detroit’s Historic Ford Building and provides Detroit small businesses with an efficient, simplified alternative to bank financing. Since establishing its headquarters in Detroit in 2015, LVRG has provided $2 million in small business loans, revenue-based financing, cash flow, and working capital solutions ranging from $10,000 to $500,000. Typically, LVRG puts financing in a business owner’s hands within hours of qualification. LVRG understands small business owners face unique challenges that require the partnership of an experienced funding company, and LVRG is happy to provide those resources. Most small business owners will encounter obstacles when seeking funding from mainstream banks. In fact, out of the 30 million small businesses in this country, more than 80% of them will never qualify for traditional bank financing. LVRG exists to provide opportunities to small businesses to fill the gap in traditional bank financing. LVRG is eager to fund these businesses, that otherwise wouldn’t stand a chance to grow, which in turn supports the greater economy. LVRG has unique alternatives to traditional bank loans. Hassle free options allow business owners, who have limited access to capital because of tightening credit markets, obtain the financing they need to support and grow their business. Unlike a bank, LVRG looks at a business’s historical cash flow and performance, not just a strict credit criteria. This allows them the flexibility to effectively evaluate your business and provide you with the financing you deserve. The criteria to apply is simple. Minimum six months in business and $10,000 per month in gross revenue. No startups, or purchases will be considered. Additionally, with more than 100 reputable funding partnerships all across the country, the amount of capital LVRG is able to fuel into Metro Detroit small business can definitely make a huge impact. LVRG is a nation-wide funding company rooted in Detroit. There are satellite offices in South Florida and New York, which expand the network of lending partnerships and small businesses to assist. “At LVRG, we believe we are different from other lending firms. We never set out to be the biggest, but we constantly strive to be the best,” said Barr. LVRG may not be the only funding company out there - just a better one. About LVRG: Headquartered in Detroit's Historic Ford Building, LVRG is committed to the success and growth of small businesses throughout the United States. LVRG provides an alternative to traditional bank financing offering small business loans, revenue-based financing, cash flow, and working-capital solutions to help business owners overcome the challenges unique to a small business. Call LVRG toll free at (855) 998-5874 or click below to apply online. First and foremost, it’s important to provide a brief background on the state of the industry in the small business funding space. Simply put, it’s turned into the wild, wild west. Literally thousands of small business owners throughout Metro Detroit and all across the country are getting burned. And getting burned bad. Remember the mortgage burst a few years ago? Well, here we go again. There are NO qualifications whatsoever to work at a small business funding company, and there is NO regulation behind the industry. So, you can probably guess the outcome of a moneymaking industry with no regulation behind it, and no qualifications required to “sell” small business loans. Online lenders and loan brokers are issuing pre-underwritten loan quotes that aren’t worth the paper they’re written on. That’s right… They’re fake. Others issue made up loan offers, followed by bait and switch funding contracts; just when you think your money is being wired, they change the funding amount and terms. Another popular one by online lenders, “sign this funding contract at a higher rate, and we’ll lower it in 30 days.” We’ve never once heard of a lender actually lowering the rate in 30 days, or any time after signing the loan contract for that matter. You name it, and we’ve seen it. Between unqualified loan brokers intentionally trying to bury small business owners in massive debt for big commissions, online lenders switching it up last second on unsuspecting business owners, you can't imagine the craziness that goes on. At least 5 or 6 small business owners come to us every single week pleading for help, as they got burned by a shady loan broker or predatory lender, and they are days away from going out of business. In turn, too many small business owners are gambling with their business by listening to what they want to hear, and ignoring what they need to hear. Why are we telling you this? Because we want your business to prosper. That’s why dealing with a local Metro Detroit small business funding company is so important. We live in Metro Detroit. We shop in Metro Detroit. We care about Metro Detroit. We have provided financing and will continue to provide financing to many of the small businesses we shop at ourselves. We have a vested interest in Metro Detroit. It's not just your community, it's our community. Small businesses are the backbone of our economy and we all want to live in thriving, sustainable communities. Automated loan shopping websites powered by tech algorithms in the middle of nowhere could care less about the future of your business. We do! Supporting Metro Detroit’s small businesses isn’t just what we do, it’s who we are! So......What small business loan options are available for Metro Detroit small business owners? Glad you asked. Let’s get started. For this type of small business financing, lenders provide you funds and use your future expected cash flow as collateral for the loan. You’re essentially borrowing from cash that you expect to receive in the future by giving the lender the rights to a predetermined amount of these receivables. Small Business cash flow loans are primarily used for working capital, or to take advantage of short-term ROI opportunities. Your credit scores will usually be checked, but they play less of a role. As the name indicates, a lender is more concerned with inspecting your cash flow (usually bank statements) to approve your application. Turnaround time is another great feature of a cash flow loan, as funding usually takes place in a matter of days, sometimes same day. There’s never been a better time or more choices for small and medium-sized businesses that need capital. And what business in Metro Detroit doesn't? Expanding, purchasing equipment, and evening out cash flow can all be managed with business financing. But business loans from traditional financial institutions are not the way to go for today’s businesses on the grow. And of course, there will always be emergencies and cash flow gaps that need to be quickly managed with working capital. That’s why revenue based loans are a quick growing working capital solution among small and medium-sized businesses in Metro Detroit. They’re the most prudent option for business owners needing capital to fuel or accelerate their businesses’ growth. Traditional bank loans are often made for as long as 25 years and require mountains of documentation and financial statements. Not to mention, do you really want all of your personal and business assets locked up for 25 years, paying off a $50,000 2017 marketing campaign in 2042? No way! And then there’s the waiting period, for both an approval and for funding, which can be weeks or months. Don't forget the collateral you'll need for a bank loan, including your home, life insurance policies and up to 30% of the loan amount in cash. Additionally, among banking institutions, the credit turn-down rate for small businesses is rather high (roughly 80%) and doesn't show signs of improving significantly. Revenue based financing and small business loans can be used for any legitimate business expense, from remodeling or business expansion to buying equipment to launching a new marketing effort. The key here is growth and our business funding options are the perfect solution for business owners looking to take advantage of growth opportunities. These short-term loans for business are popular across every industry throughout Metro Detroit, from manufacturing and transportation companies to restaurants and retail stores. Short term short-term business loans are an efficient and cost-effective source of capital, when you need it. Short-term financing can help businesses build or accelerate revenue in ways they couldn't otherwise. And at the same time, working capital solutions can help business owners negotiate better discounts or terms with vendors and avoid longer-term charges and fees, saving money in the long run. There’s no question why revenue based loans and cash flow financing are catching fire in Wayne County, Oakland County, and Macomb County. They’re the ultimate financial win-win for small and medium-sized businesses throughout Metro Detroit. Nobody faces more challenges on a daily basis than business owners. In fact, for owners of small and medium sized businesses in Metro Detroit, handling many different challenges is the source of great satisfaction and some headaches, too. But when local business owners are asked to name their greatest challenge, one thing tends to top the list most often; accessing working capital to manage cash flow. In other words, making sure there is enough capital flowing in to cover everything that needs to flow out. There are a variety of reasons why cash flow can be a steep challenge for small business owners. Needs can precede revenue. Or perhaps you’re getting paid more slowly than you’d like. Or if you’re a seasonal business, a swimsuit store for example, or golf shop, you have peak summer sales months which require that revenue to stretch across your off-season months. For starters, an ACH small business cash advance can also be referred to as a small business cash flow loan, small business revenue based loan or a small business merchant cash advance. The ACH designation really applies to how the lender is paid. ACH or Automated Clearing House, refers to the lenders ability to withdraw an agreed upon amount directly from your checking account at agreed upon intervals, typically daily or weekly. This is different from factoring your accounts receivable (A/R), because instead of billing your customers and collecting from them, they directly access your checking account in much the same way automated payments might go to you mortgage lender or a utility company from your personal checking account. An ACH small business loan, much like factoring or an MCA loan, should be considered a small business short-term financing option. The cost of the capital is more expensive, in other words you’ll pay a higher interest rate, but you’ll be able to access that capital much quicker than a traditional term loan from the bank or other financial institution. Because a small business ACH loan lender will be able to pull your payment directly from your checking account, it reduces risk to the lender making it possible for small business owners with a healthy checking account but less-than-perfect credit to get a loan. Merchant cash advance (MCA) can provide business borrowers with an upfront fixed amount of cash in as little as 24 hours. The funding amount is based upon a percentage of the businesses credit card receivables or daily cash balances using historical credit card receipts and bank statements to determine the initial advance. The business pays back the advance, plus a percentage, often referred to as a discount factor, from a portion of their credit card receivables or cash available plus a percentage which is often referred to as a discount factor. The remittances are drawn from the business customer on a daily, weekly or monthly basis until the obligation has been met. An MCA is not technically a small business loan and as such MCA's are not limited in what rates they charge or what terms they establish and therefore often have high interest rates. For this reason it is very important for a business owner to be completely aware of how the MCA product works and how it could affect their business. MCA's are good options for small business owners in Metro Detroit who may not have strong credit but have lots of credit card activity and need financing quickly. A small business line of credit is also known as a revolving loan, which works similarly to a credit card. Instead of borrowing a fixed amount of money upfront and then pay it back in monthly installments, a business line of credit gives your company permission to borrow a certain amount of money up to a certain credit limit that's set in advance by the lender. A line of credit can be a very flexible option to access cash on an as-needed basis. 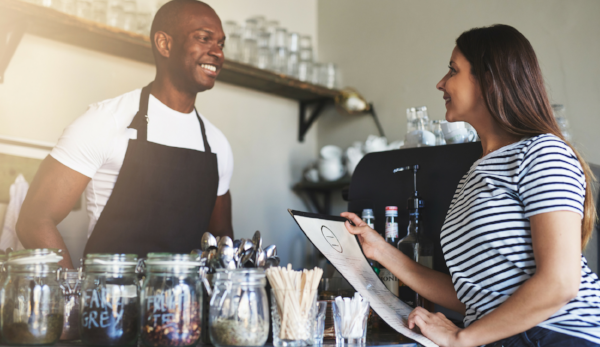 Many companies choose to set up a small business line of credit in order to navigate short-term cash flow shortfalls and manage their operating expenses. With a line of credit, you can borrow as much or as little as you need each month, and then repay the money over time or all at once—as long as you make your minimum payments and manage your credit limit according to the conditions of the agreement with your lender. With monthly fees starting at 1.25% of the original funding amount, get financing* that works for your business. Whether you’re launching a new product, buying new equipment, or expanding operations, let us help you do great things with the Preferred Rate Loan*. With monthly fees starting at 1.25% of the original funding amount, qualified borrowers that have been in business for at least 2 years, can get more loan for less money. 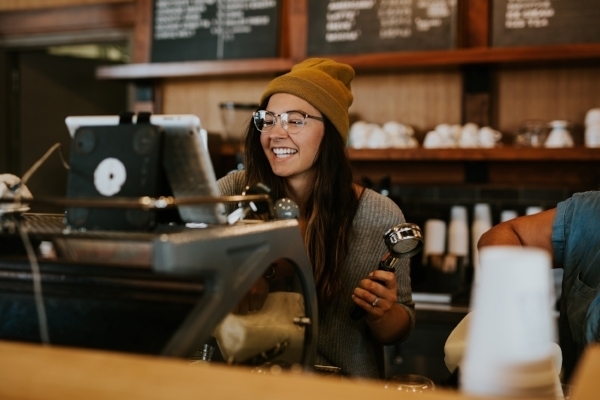 Bridging a seasonal cash flow bump - Many seasonal businesses in Metro Detroit sometimes require a little extra capital to meet expenses as they move from one season to the other. Unexpected need for additional capital - It’s not uncommon for businesses to experience unexpected expenses like a major plumbing problem or other maintenance issue they might not have the cash flow to cover. New project start-up costs - Ramping up for a new project or a new customer contract sometimes requires additional resources that might exceed a business’ ability to cover with cash flow, but will be recouped in 60 or 90 days. Emergency repairs to business-critical equipment - When equipment necessary to the operation of your business fails, it likely doesn’t make sense to wait several weeks to start repairs. A temporary cash flow loan can be a good way to access capital to start those repairs right away. An opportunity to purchase quick-turnaround inventory at a discount - A short-term loan could be a good solution to take advantage of an opportunity to purchase inventory that has the potential to increase profits. Before you gamble on the future of your business by downloading a business loan off a questionable website, or trust the future of your business in the hands of a loan broker who’s misleading you for a commission check, call LVRG at (855) 998-LVRG. LVRG Funding is a “local” small business funding company with a vested interest in Metro Detroit. That’s right, we’re a locally owned and locally operated small business, just like you. We are established, and trusted, successfully funding hundreds of small business all across Metro Detroit. We combine data-crunching software with a human touch to come up with affordable funding solutions that best fit your needs. LVRG is a team of the right people, working with the right data, getting you the right-sized funding for your business. We know that time is of the essence when it comes to obtaining financing and our quick closing time will ensure that you get the money you need, when you need it. Headquartered in Detroit's Historic Ford Building, we are a “local” finance company dedicated to helping the local small business community thrive and grow. Give us a call today (855) 998-LVRG, we're doing what’s right and we’re here to help! You might have heard SBA loans are the gold standard for Metro Detroit small business owners who want to expand. Well, it’s true! Funds from these loans can be used in a multitude of ways to help a small business grow. What exactly is an SBA loan? We’ll go over the costs, qualifications, use of proceeds and more to help you determine if this type of loan is the best option to fund your small business. An SBA loan is a government-guaranteed small business loan that has a long-term and low-interest rates. The Small Business Administration (SBA) is the government agency that partially guarantees SBA loans and was founded in 1953 to support Metro Detroit small business owners and others across the country. The most common misunderstanding about these loans is that the agency lends money directly to small businesses. However, the agency does not make direct loans. The SBA provides a guarantee on the loan, promising to reimburse the bank for a certain percentage of your loan if you default on that loan. This guarantee lowers the risks to banks and other lenders, encouraging them to offer these loans to more Detroit small businesses. Many banks throughout Metro Detroit offer SBA loans, but their process, requirements and fees can vary. And trust us, the last thing you want to be doing is calling around, or driving to each bank, one by one. So, we solved this problem for you! Keep reading…. Where Can I Apply for an SBA Loan in Metro Detroit? In the not-so-distant past, Metro Detroit's small business owners had one option when looking to secure an SBA loan – walking into a bank. However, many Detroit businesses might not know that while one bank may say 'no', another bank will say 'yes' to the same potential borrower. Technology now gives Metro Detroit small business loan seekers the ability to find an SBA loan provider online that is a good fit. In fact, SmartBiz has created the first online marketplace of Preferred SBA lenders for Metro Detroit small businesses. With multiple banks with varying credit requirements on our platform, we’ve been able to secure loans for many applicants who were initially rejected by their local Metro Detroit banks. How? Our sophisticated software allows us to match borrowers with the bank most likely to approve and fund their loan. Don’t waste your time going from bank to bank, that way is outdated and a big waste of time. SmartBiz does it for you quickly and efficiently. If you are anxious to find out about SmartBiz and can't wait to check them out, CLICK HERE! Now for the good stuff: How much is an SBA loan going to cost you? The news here is positive - it’s tough to beat the low interest rates and long repayment terms for these loans. SBA loans tend to be the least expensive financing available to Detroit small business owners. As with other types of small business loans, there are several fees associated with SmartBiz SBA working capital loans. SmartBiz charges a one-time referral fee of no more than 2% the loan amount and a one-time packaging fee of no more than 2% the loan amount for non-commercial real estate loans. For working capital loans between $150,000 and $350,000 there is a 2.25% guarantee fee paid to the SBA. Bank closing costs for working capital loans typically add about another $317 and include standard bank fees, though additional 3rd party report charges may apply. SmartBiz fees are deducted from loan proceeds so you get the net amount when your SBA loan is funded. For commercial real estate loans, SmartBiz charges no more than a one-time 0.5% referral fee of the loan amount and no more than a one-time 0.5% packaging fee of the loan amount. Commercial real estate loans have a guarantee fee paid to the SBA between 2.25% and 2.76%, depending on the loan amount. Bank closing costs typically add about another $5,000 and include standard bank fees, appraisal, and title fees though additional 3rd party report charges may apply. SmartBiz fees are usually deducted from loan proceeds so you get the net amount when your loan is funded. SmartBiz SBA loans are for financially healthy borrowers of established businesses in Metro Detroit. Most Detroit businesses can qualify for these loans if they’ve operated for at least two years with good credit, have no recent bankruptcies or foreclosures, and have cash flow that is sufficient to make the monthly payments throughout the life of the loan. The actual approval requirements will depend on the on the individual lender and factors such as your business revenue, cash flow and credit scores. The real estate must be majority owner-occupied. This means at least 51% of the square footage of the property you’re buying or refinancing must be occupied by and used by your business. Additionally, SmartBiz Loans has established a program called SmartBiz LevelUp that helps Detroit small business owners whose initial application was denied to take actions to improve their likelihood of approval on their subsequent application. We’ve worked with many Detroit small business owners who come back and are able to secure a low-cost SBA loan on their subsequent application. The best strategy to follow before you apply for these loans is to be prepared. The more readily available your documentation is, the faster you’ll move through the process. At SmartBiz Loans, we use intelligent automation to only request those documents that are actually needed based on your individual application. That means you won’t waste valuable time gathering and submitting unnecessary documents. It’s another way we support busy Detroit small business owners who have limited time on their hands. HOT OFF THE PRESS: Guess Who Just Ranked Number One Provider of Traditional SBA 7(a) Loans Under $350,000? The following is a checklist of the most commonly collected documents. It can be very helpful to work with your accountant or tax preparer to gather some of the financial documentation. SmartBiz requires the previous 3 years of business and personal income tax returns. A Personal Financial Statement is required from each individual owning 20% or more of the company. Also known as an “Income Statement,” a Profit and Loss Statement measures a company's financial performance over a specific period of time. This statement includes all revenue and expenses over a given period. Balance Sheet - According to the SBA, this statement provides an overall financial snapshot of your small business. As an equation, it looks like: Assets = Liabilities + Equity. The two sides of the equation must balance out to equal each other. Collateral - Most banks require some type of collateral. At SmartBiz Loans, collateral required depends on the SBA loan size. If you apply for a SmartBiz loan of $30,000 to $350,000, a lien on business assets is required. This includes assets such as accounts receivable or inventory, as well as fixed assets such as new equipment purchased with loan proceeds or commercial real estate owned by the business. The value of these assets does not need to equal the loan amount you are requesting. If you apply for a SmartBiz commercial real estate loan of $350,000 or more, the property you are refinancing or purchasing will be the collateral for the loan and a first lien on the real estate is required. Based on the appraised value, you must have at least 10% - 20% equity in the real estate for a refinance or put 10% - 20% down for a purchase of the real estate. Other Documents - These can include entity and location documents such as business licenses, Articles of Incorporation, commercial leases, or franchise agreements. Now the fun part! How can you use SBA loan proceeds to save money and grow your Metro Detroit small business? There are lots of ways. Working capital keeps businesses aﬂoat and humming along; it’s the common measure of your company's liquidity, eﬃciency and overall health. Calculating working capital is pretty simple: deduct current liabilities from current assets. If your current assets do not exceed your current liabilities, you run the risk of being unable to pay your short-term creditors on time. This can lead to late fees, delayed delivery of important goods and more business crushing problems. Detroit business owners should make sure to have enough working capital in the bank to meet ﬁnancial obligations and cover day-to-day expenses. A low-interest, long-term SBA loan can provide a steady cushion of working capital to keep your company running and growing. In addition to using funds from a SmartBiz loan to run day-to-day operations, working capital can be used to buy additional inventory. Take a look at your cash ﬂow and business plan. Could your small business use an infusion of working capital? Find out in about 5 minutes if you’re pre-qualiﬁed for the best working capital loan --a low-interest, long-term SmartBiz SBA loan. You can save up to thousands of dollars per month by reﬁnancing expensive debt. Perhaps you have great credit and strong revenue, but have accepted a few merchant cash advances or other high interest small business loan products. An SBA loan is a great option to refinance or consolidate high interest business loan debt, digging into your cash flow. That’s money saved that can go back into investing in your business instead of making high interest loan payments. A new loan, like a low-rate, long-term SBA loan, can make a big diﬀerence to your company. Here’s how a debt consolidation loan can be a great savings solution. Lower rates: Paying oﬀ high interest money means you’re lowering the cost of your capital. Your bank account and cash ﬂow will thank you. Longer Terms: If two loans are similar in all respects though one has a shorter term than the other, the shorter term loan will always have a higher monthly payment versus the longer term loan. Because of this, short-term loans can hurt cash flow, and very short term loans can even spell disaster for a Metro Detroit small business owner by trapping them in a cycle of borrowing. SmartBiz SBA loans have long 10 - 25 year terms resulting in lower monthly payments. If you’re an established and proﬁtable business in Metro Detroit looking for the lowest funding costs and the longest repayment terms for buying or refinancing a property, a SmartBiz 7(a) SBA loan from $350,000 to $5 million is your best bet. With 25-year terms and interest rates at 5.25% to 6.50%*, these loans can be used by a small business to reﬁnance an existing commercial real estate mortgage, buy the property the business currently operates from, or purchase other owner-occupied commercial space. To qualify for a SmartBiz commercial real estate SBA loan in Metro Detroit, you need a minimum personal credit score of 675, at least three years in business and $350,000 or more in annual revenue. In addition, a minimum of 51% of the property you purchase must be occupied by and used by your business. You’ll also be expected to put at least 10% down and the property you’re purchasing or refinancing will be the collateral for the loan. SmartBiz 7(a) SBA loans are typically faster than loans from a traditional bank and funds can be distributed in as fast as 30 days after your commercial real estate loan application is complete. Is business good but your stress level is high? Perhaps you’re multi-tasking like a pro but you just can’t get it all done. Would an extra employee or two help your business - and yourself? An SBA loan can come to the rescue! If it’s time to bring in fresh talent, proceeds from these loans can help cover recruitment, salary, beneﬁts and other costs associated with ﬁnding and on-boarding employees. Every company needs equipment to run smoothly, eﬀectively and proﬁtably. Whether you are manufacturing products, guiding clients or creating information, there is always equipment to buy. From computers to copiers, coﬀee machines to vans or cars, the sudden need to purchase new equipment can come up at any time. You might need to upgrade an older model or buy new equipment to streamline your business and speed up production. Getting an SBA loan is a low-cost way to ﬁnance major purchases that are beyond the scope of a credit card or other type of expensive funding. SmartBiz customer Terry Trumbull was able to use proceeds from his loan to ﬁnance a new refrigerated truck. With low rates and long terms, he’s saving money and is able to expand his business. Marketing is a great use for loan proceeds. Marketing is a must for businesses of all sizes helping to build your brand, attract customers and increase sales. However, marketing is often the ﬁrst expense cut from budgets when cash ﬂow is tight. An established small business can spend up to 30 percent on marketing initiatives. So what should you do if your marketing budget has shrunk or is nonexistent? Consider ﬁnancing marketing with a SmartBiz SBA loan just like you would ﬁnance new equipment or inventory. With low rates and long terms, these loans can open up a world of marketing possibilities. Do you need direct mail collateral? Social media advertising or a new website? Low-cost funds with long terms are the way to go so you don't stress your cash ﬂow. The Small Business Administration writes that marketing is the key to future sales and cautions business owners not to ignore it. Explore a SmartBiz SBA loan to fuel your marketing eﬀorts. Small business expansion goes beyond increasing proﬁts. If your goal is to scale while increasing your bottom line, a low-cost SBA loan facilitated by SmartBiz is a great solution. There are many ways your small businesses can expand. Funds from these loans can help you conduct detailed research to identify your main competitors. By diving into their target audience and product oﬀerings, you'll be able to eliminate segments of the larger market and carve out a corner you can concentrate on for expansion. More small business expansion activities can be kicked oﬀ with a SmartBiz SBA loan. If you require a bigger location, diﬀerent pricing or new and improved marketing techniques, look into these low-cost loans. An SBA Loan is great way to increase your inventory to meet busy times. If you don’t have products on hand, you can’t make that sale. What about new products? What about expanding your product line? Proceeds from a low-cost SmartBiz SBA loan can help you meet that goal as well. SmartBiz Loans was created to give Metro Detroit small business owners easier access to smart funding. Instead of walking into your local bank, working with them for several months and ending up with a 'no', SmartBiz has streamlined and automated the entire process and is able to help businesses quickly get to a 'yes'. You can complete the online application process and get funded with ease from the comforts of your own home or business. How have we streamlined the process to get Detroit small business owners a low-cost SBA loan quickly? First of all, we’re very clear about the documents you need to apply for a SmartBiz SBA loan. If you have your paperwork in order, the process can move swiftly from pre-qualiﬁcation to funding. Secondly, our online platform makes uploading documents and moving through the process a snap. We’ve greatly simpliﬁed the entire lending experience from end-to-end. Finally, we match borrowers with the bank that is most likely to approve and fund an SBA loan for your business. You won’t waste time going from bank to bank, we do all that for you. We believe a SmartBiz SBA loan is a great ﬁt for established businesses in Metro Detroit who want to grow and ﬂourish. If you’re still not convinced, CLICK HERE TO LEARN MORE.